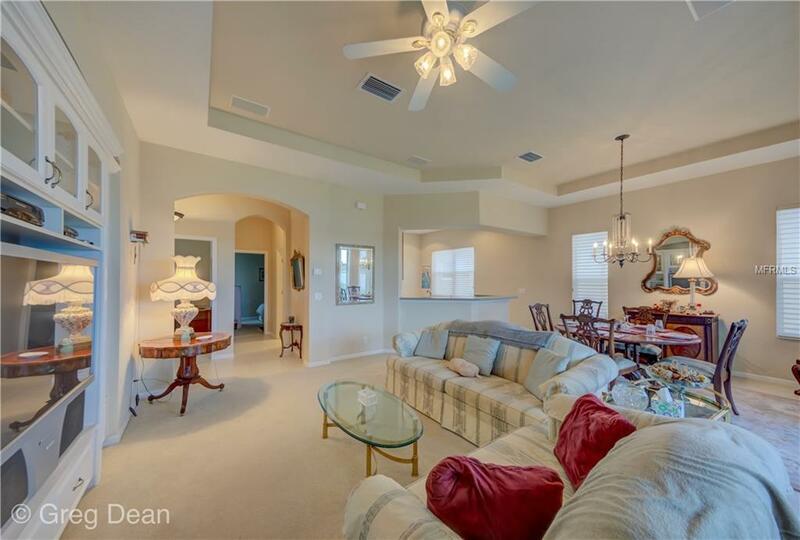 Ultimate in Senior Living in the Beautiful Renaissance Community of Sun City Center. You will love the architect design of this 2 bedroom, 2 bath, plus den and 2-car garage home that is situated on a tranquil pond view lot. A covered screen porch entrance greets your quests. 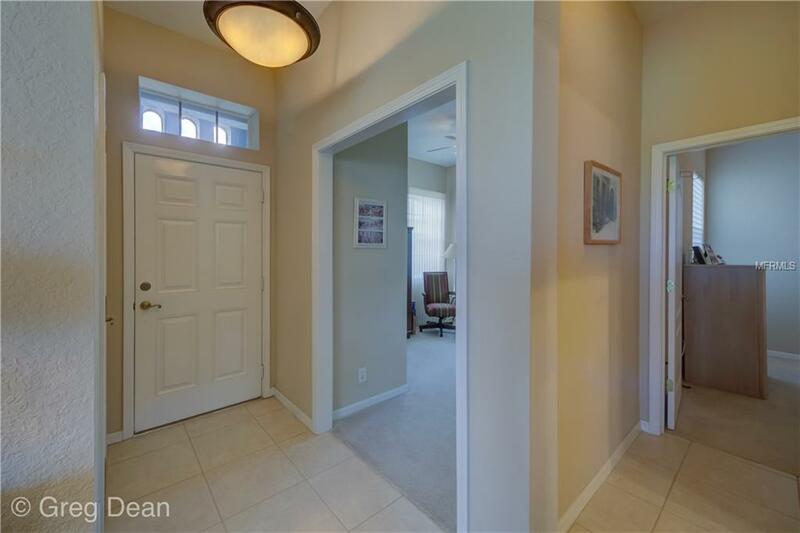 As you enter the welcoming foyer your den and great room open floor plan can be observed. The higher ceilings thru-out this home enhances your rooms. The kitchen has plenty of corian counter tops, gas stove and maple cabinets with crown molding that creates a chefs delight. 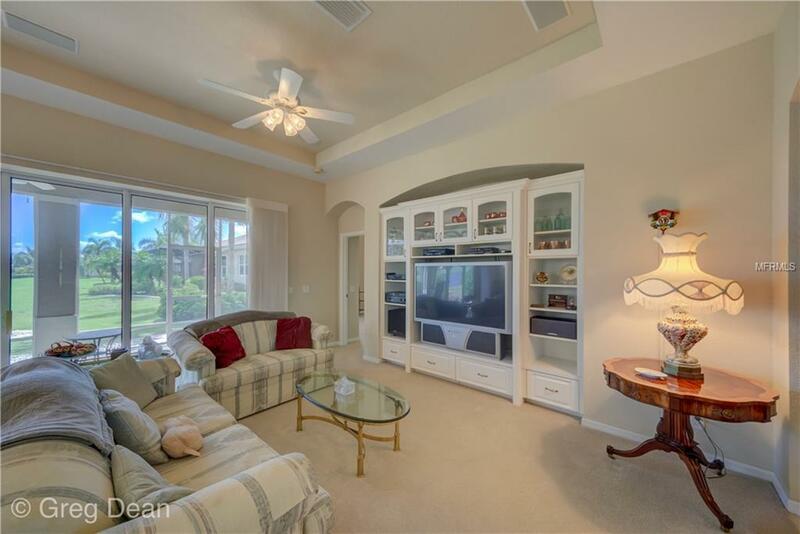 The enticing great room with trey ceilings, light carpet and a built-in entertaining center that is designed with distinction. The expansive triple sliders glass doors look out into the screen room and the tranquil pond view. Master suite is large enough for all your furnishings. Master bath has a double corian sink vanity, a garden tub and separate shower stall! You will love the glass block windows this bath offers. The split bedroom plan allows for 2nd bedroom & bath to have privacy. Laundry room has maple cabinets and a counter top for folding clothes. A laundry tub is an added plus. 2-car garage has an AC room for wine storage that can be converted back to a space for a car. Yard has new sod. You will enjoy the year round outdoor life style in this community of Renaissance Club with plenty of activities. 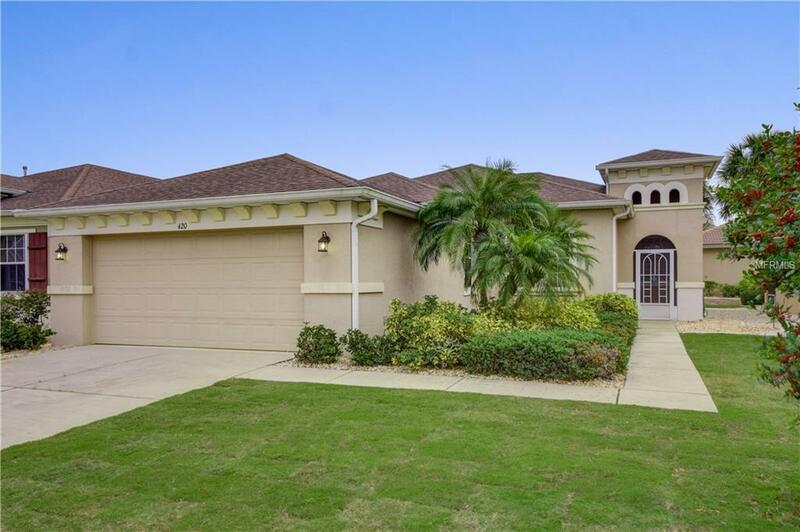 Close to gulf beaches, restaurants, shopping and hospital. Dont miss this one on your tour of homes! Amenities Additional Fees $1800 1 X Fee For Capital Improvements To Sun City Center Community Association At Closing. $279 Per Person/Year For Annual Scc Ca Dues. $2400 / Year Club Renaissance Dues.